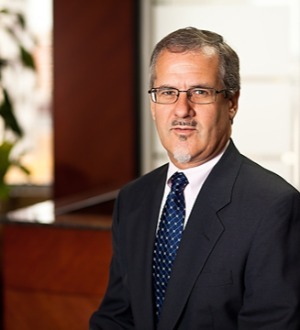 Roger Herman joined the firm of Rosenblum, Goldenhersh, Silverstein & Zafft, P.C., in 1988 after a clerkship with Chief Judge John F. Nangle of the United States District Court and is now a partner serving on the firm’s management committee. His practice focuses primarily on commercial real estate transactions and general business law. Roger has assisted clients in all aspects of real estate transactions, including leasing, purchase and sale, development, financing, lending and entity formation. Mr. Herman represents both landlords and tenants in drafting and negotiating leases for commercial properties, such as office buildings, restaurants, warehouse and industrial properties, shopping centers and other retail space. Roger has represented clients in purchasing, developing, selling and financing shopping centers, apartment complexes, residential developments, office buildings and other commercial properties. Mr. Herman represents both borrowers and lenders in mortgage loan transactions, construction loans, work-outs and foreclosures. Mr. Herman is experienced in §1031 Exchange Transactions, Easements, Subdivision and Townhome Indentures and Declarations, Residential Condominium Development, Sale and Leaseback Transactions, Triple-Net Leases and Ground Leases. Roger is a member of the Missouri Bar, the Bar Association of Metropolitan St. Louis and the St. Louis County Bar Assocation.